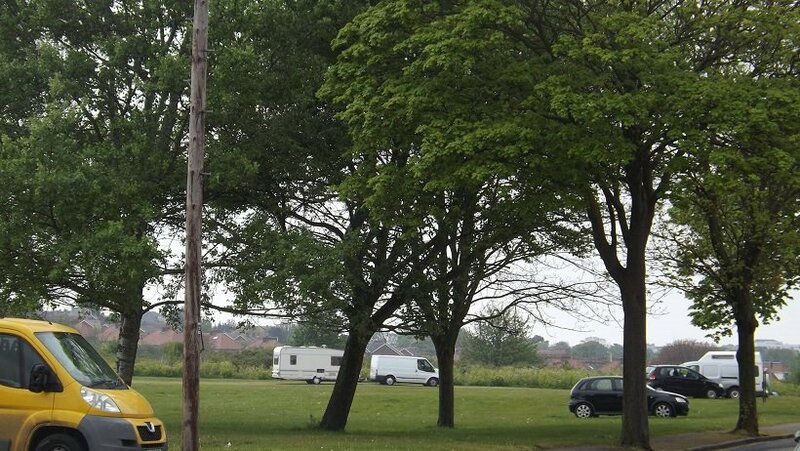 Travellers who moved on to Dane Valley Green last week have been served with notice to quit. Eight campers and caravans are on the site after turning up on Friday (July 21) night. The site has been targeted by Traveller groups several times this year. On April 5 a group moved caravans onto the site and left on April 13 – apparently to another spot on the isle. A second Traveller community arrived soon after and did not leave until May 3. 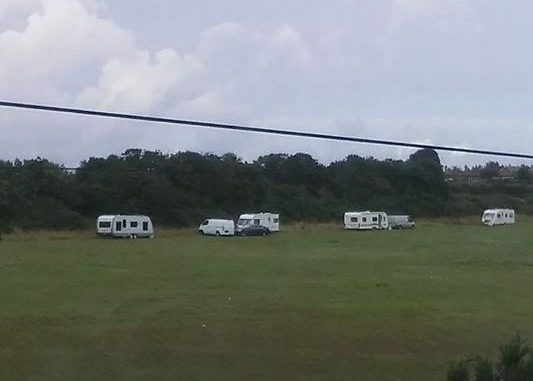 On June 27 Travellers who had set up at Jackey Bakers field in Ramsgate were moved on – but set a ‘new’ encampment up at Dane Park in Margate. They were moved on the same night and eventually set up camp in Herne Bay. Officers from Thanet council attended the encampment today and carried out welfare checks. They told ward councillors the current Travellers at the green have not previously set up encampments on the isle. TDC said the Travellers told them they would remain at the site for the next two or three days. The group has been informed that Thanet council will apply to the courts for an eviction order if they have not moved on by Wednesday. Why not gather up the seaweed from our beaches, load it into a muck spreader and drive in and out of the offending squatters. This will achieve two benefits it will nurture the growth of the grass and secondly word will get out that this is not such a nice place to pitch up. I knew a farmer some years ago that did just this but with fresh runny cow poo.. worked a treat.